The Ancient Reality-Teachings is Book Four of the "Perfect Knowledge" Series by the Avataric Great Sage, Adi Da Samraj. "The traditional texts presented by Me in this Book are only a few in number, but they are outstanding among the most important texts ever written. "They are so much to the point that they are profoundly Illuminating — not sufficient for the Awakening of Transcendental Realization Itself, but potentially sufficient to bring anyone to practice at the feet of a true Master." In each of these renderings, Adi Da Samraj clarifies and illuminates the full meaning intended by the original author — not from a scholarly "point of view", but as a Realizer of Truth. The books of the Perfect Knowledge Series comprise the complete text of Avatar Adi Da's "Source-Text" IS: The Perfect Knowledge of Reality and The "Radical" Way to Realize It. The books of the "Perfect Knowledge" Series (which will also be published as a single volume, entitled IS) came into being with astonishing speed at the end of 2005 and the beginning of 2006, but the history of these books goes back more than thirty years. In the early 1970s, Adi Da Samraj recommended to His devotees that they establish a publishing house, making available His own Teaching and also some classic texts of traditional Spirituality. The first of the traditional publications was The Heart of the Ribhu Gita, a text in the Advaitic tradition of Transcendental Wisdom, which Adi Da Samraj had seen in The Mountain Path, the magazine associated with Ramana Maharshi's Ashram. The rights to publish were obtained, and Adi Da Samraj introduced the book Himself. In November 2005, He looked again at The Heart of the Ribhu Gita, and was moved to make His own rendering or "interpretive translation" of the text, in order to elucidate, and thereby honor, its full meaning. He was not intending to re write the text from the "Point of View" of His own Realization, but, rather, to draw out the real intention of Ribhu (or the Sage who generated it), as only another Realizer can. 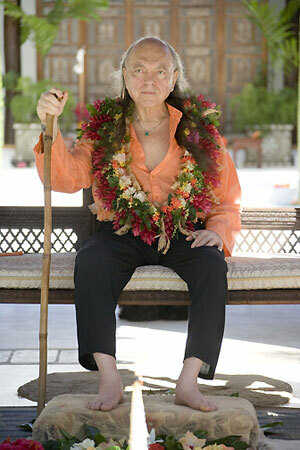 Having completed the work, Avatar Adi Da Himself read the text to His devotees in a live internet occasion, and commented upon it further, indicating that He was interested in rendering other principal texts from the tradition of the Great Sages in a similar manner. By "Sage", He means one who is focused in the Knowledge of Reality at the root, Realizing What IS — rather than seeking for any form of mystical experience (no matter how profound such experience may appear to be). In the following weeks, Adi Da Samraj gave His attention to other great dharma from the tradition of Advaita Vedanta and some from the Buddhist tradition, reading these also to His devotees. In each case, He was bringing the essence of the instruction to the fore, with an elegance and Illumined understanding that left His devotees speechless in amazement. Texts whose meanings were only partially (or cryptically) expressed even in the original — let alone in translation — were suddenly shining forth, like rough gems cut by an expert hand. Such is the content of The Ancient Reality-Teachings — an anthology of these masterful "translations", together with Discourses about the traditional texts, given by Adi Da Samraj at the time He read them to His devotees. Book Four of the Perfect Knowledge Series. The books in this series comprise the complete text of Avatar Adi Da’s "Source-Text" IS: The Perfect Knowledge of Reality and The "Radical" Way to Realize It.